Sometimes when buying or using a product or service, things don’t quite meet our expectations. It is natural that on occasion you will not be happy with what you receive and want to change it and that is totally fair enough. Luckily there are laws in place for us to be able to change our minds on most occasions. Can you change your solicitor? People often call us on the phone asking, “can I change solicitors halfway through a case”. If you are part way through the process of making a claim with a solicitor but are not happy with the service provided, you are well within your rights to change. Don’t think that just because you have entered into a claim with a particular solicitor you are bound to them as this is far from the reality. If you would like to talk to us about taking over your claim for you, we will be happy to discuss with you about assessing your case. Simply call us now on 0800 028 2060 or complete our Free Online Claim Enquiry and we will explain the process to you, free of charge and without obligation. Delays – for one reason or another the solicitors firm are not progressing your claim in a timely manner. Your solicitor should give you some idea of how long your case is likely to come to conclusion. If they don’t appear to be striving for this, and you do not believe they are providing a valid excuse then it may be time to look at the options. Communication – are they leaving you in the dark or have they been economic with some of the facts pertaining to your case? Maybe they have not explained the fees quite correctly to you? Professional conduct – maybe the person you are dealing with has a manner, which is not very professional: It could be their use of language or their attitude. Maybe you just don’t really think they are trying that hard for you? Often it is a communication thing that leads to the break down in your confidence but essentially if you are unhappy with your solicitor you can change and nobody can stop you. We communicate, keeping you updated at every step along the way. We converse in a way that is easy to understand and unambiguous. We are transparent about the fees that we charge. We ONLY charge a percentage of your claim amount if we successfully help you win your case. We strive to get you the MAXIMUM compensation for the inconvenience, loss of earnings, costs incurred and physical suffering you have endured as a result of the injury you have sustained. We aim to get your claim concluded in as short a time as possible. We do the above because we know that a bad story travels far. We are professionals who know that a job well done is another positive story out there on the streets being discussed by family and friends which is why we see a lot of our business coming from referrals. Russell Worth is a successful business born out of being a caring business to our clients and we will keep it that way. How can I swap solicitors? If you’re serious about swapping your claim to another solicitor, you needn’t fear that the solicitor you are leaving will not be paid for the work they have done. Normally, the case is simply passed on to the new solicitor and upon conclusion; their fees are sorted out. Most of our business comes from referrals, a testament to the importance we place on client care. Many clients who come to us have suffered life-changing injuries, or possibly even the death of a family member due to the negligence of another person or organisation. We provide legal advice and guidance in a sensitive, caring manner and support our clients through every step of the claims process. Most of our cases are settled outside the courtroom, through negotiation and mediation. This is reassuring for our clients, as going to court can be traumatic and stressful. As long as it is in your best interests, we will make every effort to obtain an early settlement. Our solicitors will take the time to talk with you and listen to what you want to achieve as a final outcome. We return emails and phone calls promptly and are available to answer any questions you may have. What does the process of swapping solicitors involve? Now you know you can swap solicitors halfway through a case, you may be nervous about telling your current solicitor you no longer wish to use their services. However, rest assured that if you choose to instruct us, we will take care of all the details on your behalf, notify your current solicitor in writing and ensure that any money owed is paid out of the final settlement. Don’t settle for second best. You deserve a personal injury lawyer who will work hard to achieve your desired outcome and treat you with respect and professionalism. If you would like to talk to us about taking over your claim for you, we will be happy to do so – obviously we cannot promise we can take over your claim, as we have to assess it first, but simply call us now on 0800 028 2060 or complete our Free Online Claim Enquiry and we will be pleased to talk to you about it, free of charge and without obligation. “The best. You will not find a better firm. 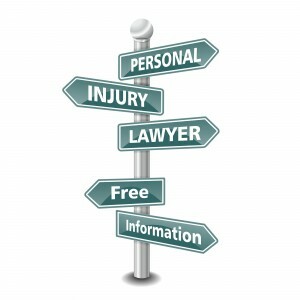 “This is personal injury claims at its very best. Always very personal and professional never pushy. From the very first telephone call until receiving the settlement they carefully guide you through the process. As the claim progressed and escalated each member of staff was as helpful as the last. This was exactly the type of Company I was looking for and I was very lucky to have found them. I would like to thank them and wish them all the very best for the future. “Very prompt, professional service with a very pleasing outcome. I would highly recommend Russell Worth as that’s how I discovered them. Best decision ever. Enter a few details below to start the process of changing your solicitor.